Welcome to the Amped Up show series music showcase! 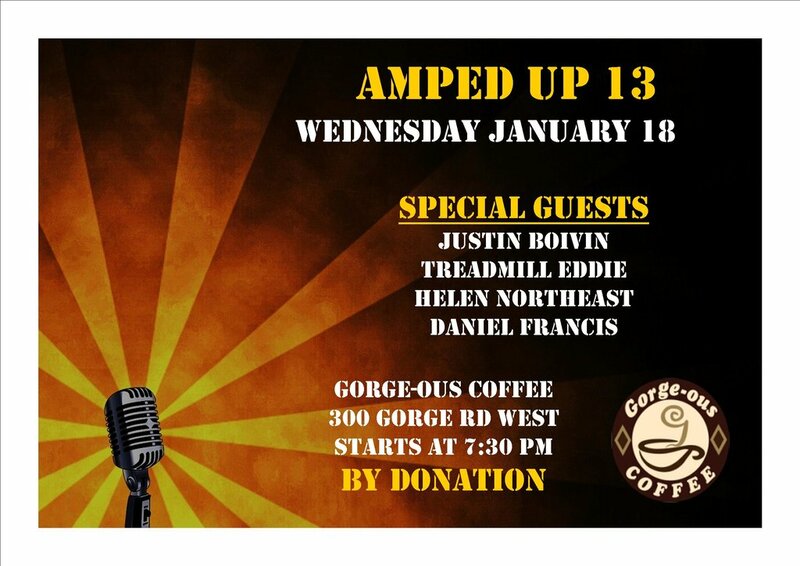 Were kicking off the New Year with Amped Up 13. The show series has been great and fans have enjoyed the talent we have booked. Were announcing the artists for the next show in the series, and the are, Helen Northeast, Justin Boivin, Treadmill Eddie and Daniel Oliver Francis. Come support your local Victoria BC artists at Victoria's finest music venue Gorgeous Coffee.